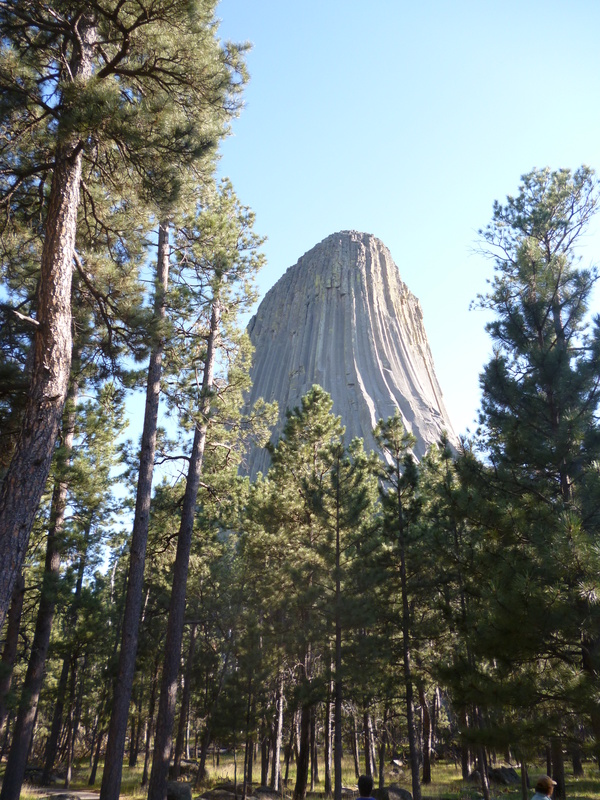 We stopped at Devil’s Tower as we left Wyoming. A very neat rock. Camping is turning out to be interesting. We made a reservation in Yellowstone, but everywhere else we just find the local national park or national forest campsites and pull in. Most folks crowd into the KOAs or larger sites, with folks spaced about 10 feet apart in their 50 foot trailers. The park and forest sites are really nice, are mostly tents and the hosts have turned out to be some interesting folks. South Dakota is a new state for both Pam and me. The Black Hills area is very pretty. Camping in the forest around here is just like the Rim, Ponderosa trees and grassy fields. As you approach the area the one thing you notice is the number of bikes in the area. 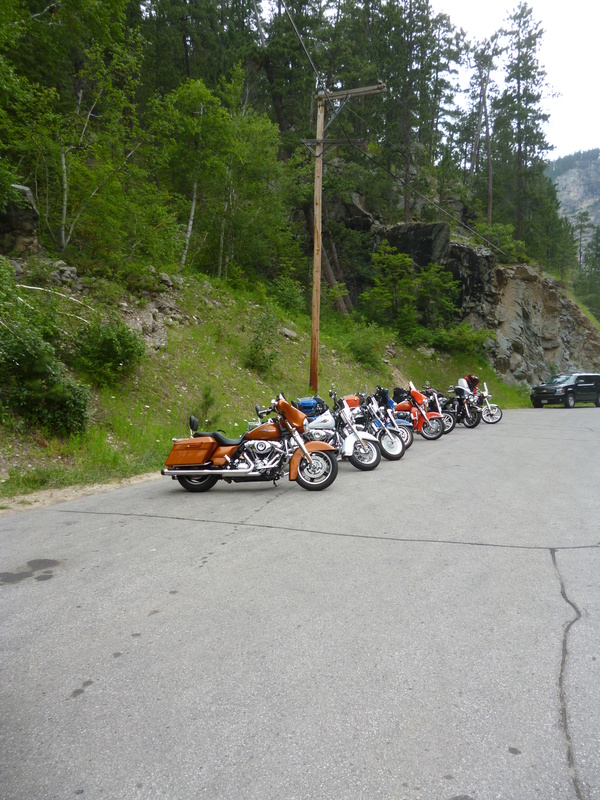 Sturgis kicks off next week, but a lot of bikers are already in the area. 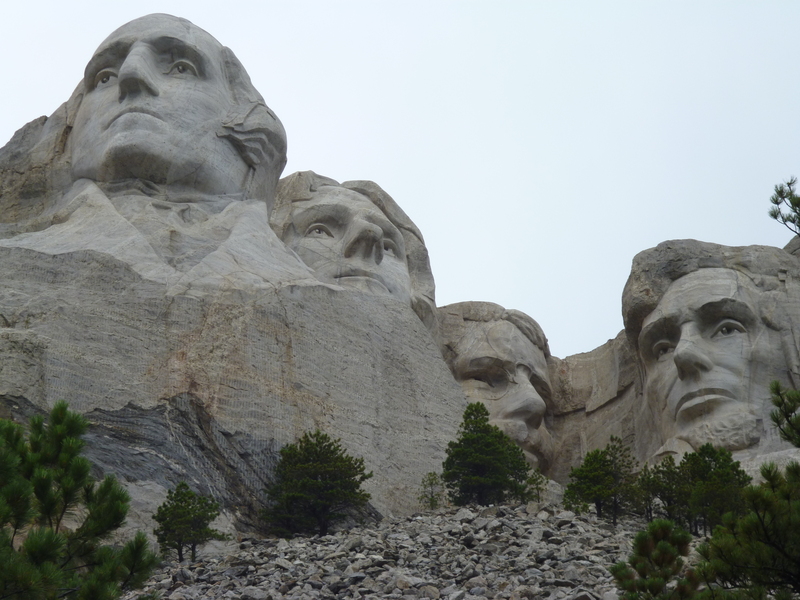 Rushmore was interesting. The area around it was the busiest place with the most people we have been in for some time. It felt like entering Disneyland, but the rock was neat to look at up close. 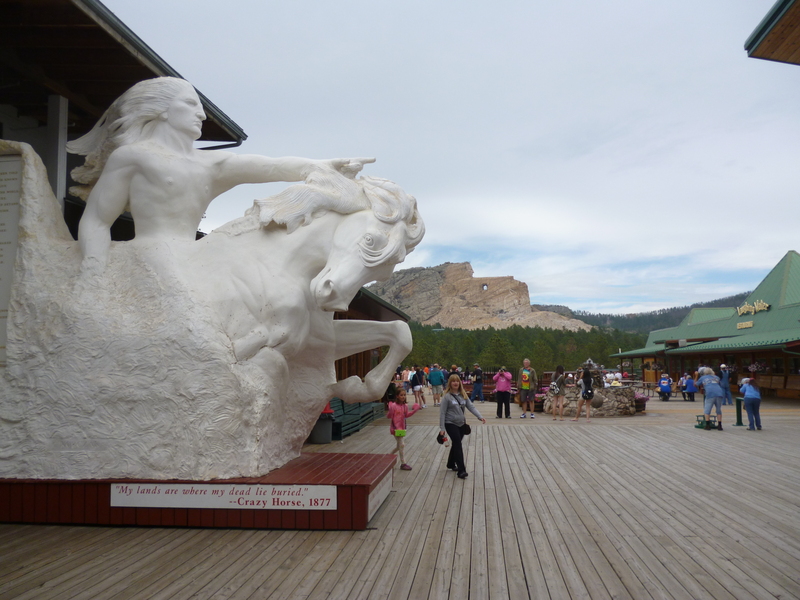 Crazy Horse was huge and will be incredible when it is finished in a few decades. Maybe we’ll be around to see the carving completed. Laundry is now done so we’re on our way east.